This entry was posted in kolumbien and tagged Friedensprozess Kolumbien on 9. November 2018 by mpaetau. This entry was posted in geschlechterverhältnisse, kolumbien, wissenskulturen and tagged Amazonas, Brasilien, Kolumbien, Queer, Wissenskulturen on 13. September 2018 by mpaetau. This entry was posted in kolumbien and tagged kolumbianischer Frieden on 6. September 2018 by mpaetau. This entry was posted in kolumbien and tagged Friedensprozess Kolumbien on 17. August 2018 by mpaetau. This entry was posted in kolumbien and tagged Friedensprozess, Kolumbien, Menscherechte on 8. August 2018 by mpaetau. This entry was posted in kolumbien and tagged Friedensprozess, Kolumbien on 5. August 2018 by mpaetau. This entry was posted in kolumbien and tagged COLPAZ, Friedensprozess, Kolumbien, Red-Feminista on 22. May 2018 by mpaetau. This entry was posted in kolumbien and tagged COLPAZ, Friedensprozess, Kolumbien on 14. November 2017 by mpaetau. This entry was posted in rechtspopulismus and tagged Rassismus, Rechtspopulismus on 25. September 2017 by mpaetau. This entry was posted in rassismus and tagged Rassismus on 4. September 2017 by mpaetau. This entry was posted in kolumbien and tagged Friedensprozess Kolumbien on 3. September 2017 by mpaetau. This entry was posted in kolumbien and tagged Friedensprozess Kolumbien on 23. August 2017 by mpaetau. This entry was posted in soziokybernetik and tagged Sociocybernetics on 7. October 2016 by mpaetau. This entry was posted in migration and tagged Migration, Rassismus, Rechtspopulismus on 29. August 2016 by mpaetau. This entry was posted in soziokybernetik and tagged Forschungsstelle, Sociocybernetics, Transitional Justice on 21. November 2015 by mpaetau. 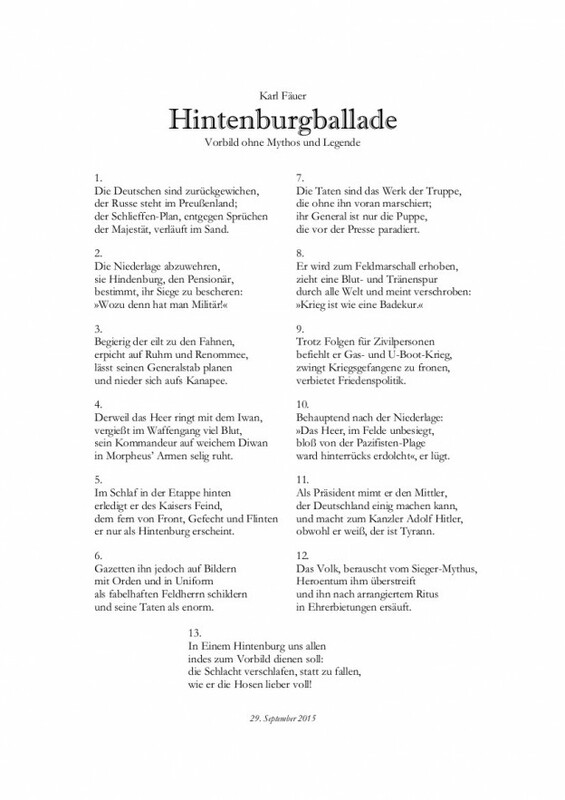 This entry was posted in hindenburg and tagged Hindenburg, Wissenskulturen on 23. July 2015 by mpaetau. This entry was posted in kolumbien and tagged Choco, Kolumbien, Menschenrechte, Regenwald on 23. May 2015 by mpaetau. This entry was posted in kolumbien and tagged Choco, Indigene Gemeinschaften, Kolumbien, Menschenrechte, Naturzerstörung, Regenwald on 15. October 2013 by mpaetau. This entry was posted in hindenburg and tagged Hindenburg on 20. June 2013 by mpaetau. Wiedergutmachung — Innehalten um weitergehen zu können. This entry was posted in kolumbien and tagged Friedensprozess, Kolumbien, Widergutmachung on 10. June 2013 by mpaetau. This entry was posted in hindenburg and tagged Bonn, Hindenburg on 30. November 2012 by mpaetau. This entry was posted in migration and tagged Internationales Frauenzentrum Bonn, Landschaftverband Rheinland, Migration, Rheinlandtaler on 30. October 2012 by mpaetau. This entry was posted in kolumbien and tagged Choco, Kolumbien, Menschenrechte on 10. June 2012 by mpaetau. This entry was posted in wissenskulturen and tagged Commons, Wissensallmende on 1. March 2012 by mpaetau. This entry was posted in hindenburg and tagged Hindenburg on 10. October 2011 by mpaetau.